Until very recently if you were using oil in your skincare routine to treat skin concerns you probably would have been considered crazy by most people. Generally oils were considered to clog pores, cause breakouts and led to other negative skin reactions. However, recent research indicates some oils are actually very beneficial for treating a variety of skin concerns. 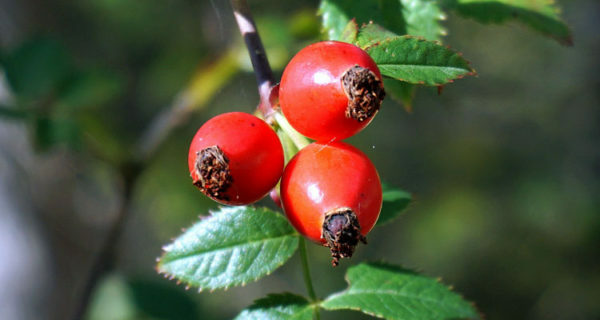 Rosehip oil, derived from the seeds of the rose bush in particular, has been welcomed with open arms and has been proven to combat the likes of acne, blackheads and whiteheads. Due to its medicinal properties the oil of the rosehip seed is one of the best all-natural healing treatments available. Its been used for thousands of years to treat both internal and external ailments by many ancient civilizations including the Egyptians, Mayans, and the Native Americans. Known for its rejuvenating properties and its ability to help boost cell turnover, Rosehip Oil is considered to be a more natural version of Retinol as it has a high content of vitamin A. The oil is also chock full of other vitamins like Vitamin E, C, D and B and a large amount of antioxidants, as well as essential fatty acids. Rosehip oil helps correct dark spots, diminish scars, boosts skin hydration and target fine lines. It is also known to fight free radical damage and as we mentioned before it also helps combat the likes of acne as well as blackheads. If your skin concerns are more complicated you might want to consider using a blackhead removal tool to deal with them. Do you have about 4-5 different facial lotions and moisturizers you use on your face? Maybe one for bedtime, one for the day, and one you apply before putting on your makeup as a primer? If this sounds familiar, costs you a fortune, and really doesn’t seem to be helping your skin in any way, you may want to switch up your routine. You can replace all those products with Rosehip Oil as it will moisturize, protect, fight acne-causing bacteria, and nourish your skin all in one. 77% of the composition of rosehip oil is fatty acids such as linoleic and linoleic acids. Many people suffer from skin concerns due to the skin not having enough linoleic acid – a crucial component of this natural serum that our skin produces to moisturize and protect the face. If the body for some reason doesn’t produce enough acid, it tends to be overruled by oleic acid, a thicker acid more prone to clog pores and cause blackheads and whiteheads. Although it may be a bit more expensive, you will want to make sure your rosehip oil is cold-pressed and unrefined. Cold-pressing the oil ensures a high nutrient content because the product doesn’t get altered by heat. You’ll want to avoid refined oils as this process filters out much of the nutrients as well. As a general rule of thumb, when shopping for your rosehip oil, make sure your label says “cold-pressed” and “unrefined”. When applying oils, just a little bit will goes a long way – just enough to lightly hydrate the skin and for it to soak in easily. Gently massaging a few drops into wet or dry skin will suffice. Not to mention, too much oil on the skin is never a good thing, as it should just be a boost to the skin’s natural oils already being produced by the body rather than a replacement. Does oil go bad? The answer is yes! The shelf life for nearly all natural oils is 6 months to 1 year with proper storage conditions. 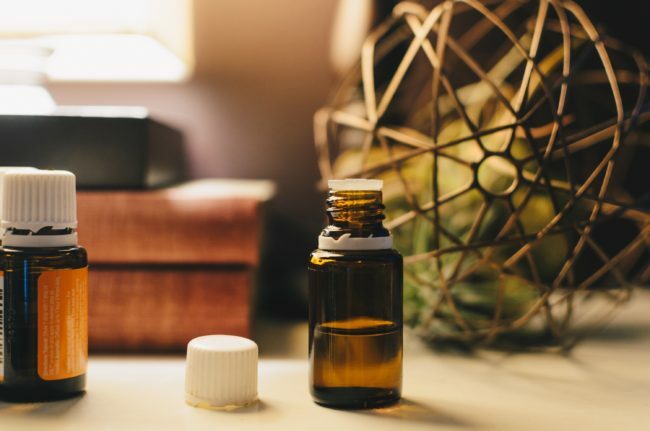 It is best to store all oils in their original containers in a cool place, out of direct sunlight and away from stoves and other appliances. Refrigeration after opening high quality and unpreserved oils is highly recommended. You will notice a change in color, texture, and clarity with age, as well as a possible unpleasant odor. Although allergic reactions are minimal and vary from person to person, it is always best to play it safe. As with all health and beauty products, it is highly recommended to test a small amount on your wrist before applying the recommended amount. If you have any questions, always consult a professional or your primary care provider.